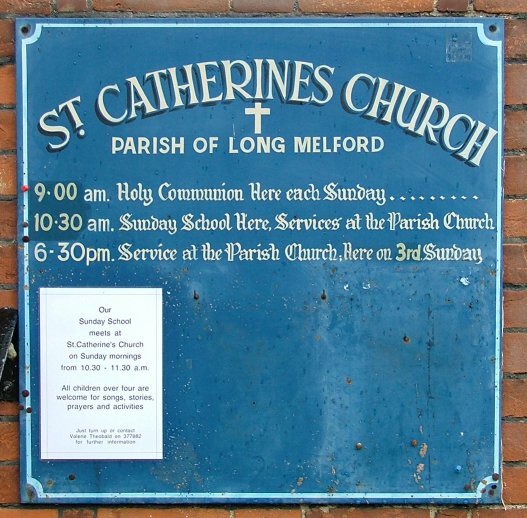 Long Melford, famously, has the longest village street in Suffolk; when the railway and related industries came in the late 19th century to the southern end of the village, the new terraced housing was a good mile or so from Holy Trinity up on Melford Green. 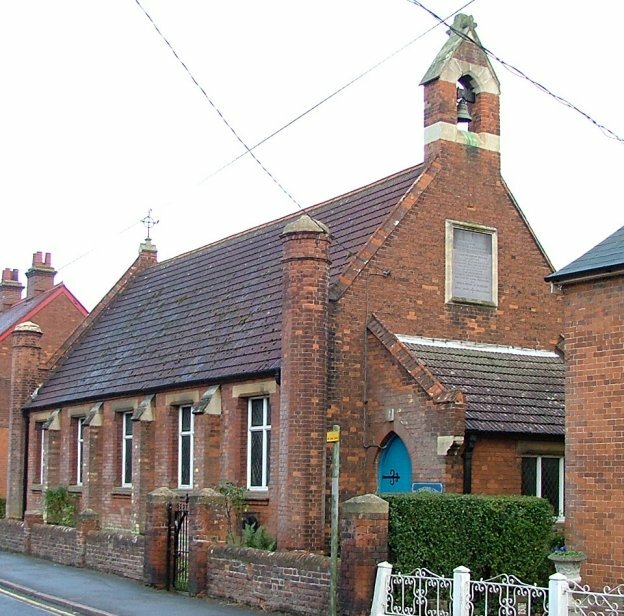 It is likely that many of the railway workers were Catholics, and their church was a mile-long walk in the other direction in Sudbury, but the local Anglicans must have been more concerned by there being several non-conformist chapels in the high street. The Anglican presence among the working classes was re-established in 1885. 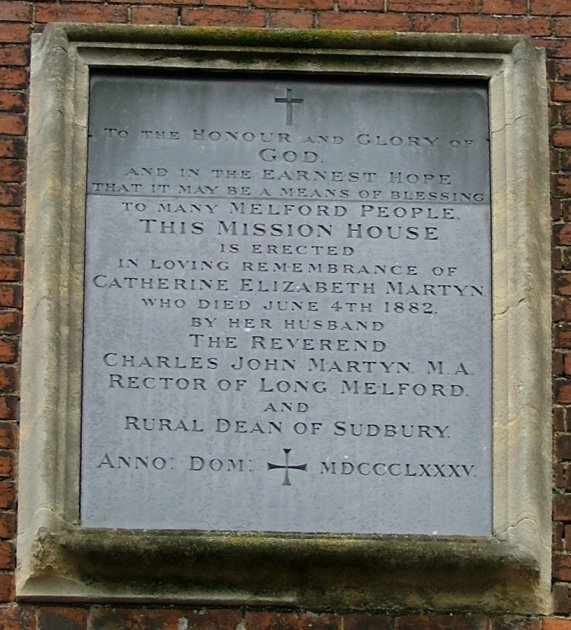 The Rector of Melford's wife had died three years earlier, and in her memory this mission church was erected. Her name was Catherine Martin, and in time the church came to be dedicated as St Catherine, although this does not seem to have been the intention from the start. However, the liturgical churchmanship of the congregation is revealed by the fact that this building has a little sanctuary built on at the east end, unusual in mission churches of this time. 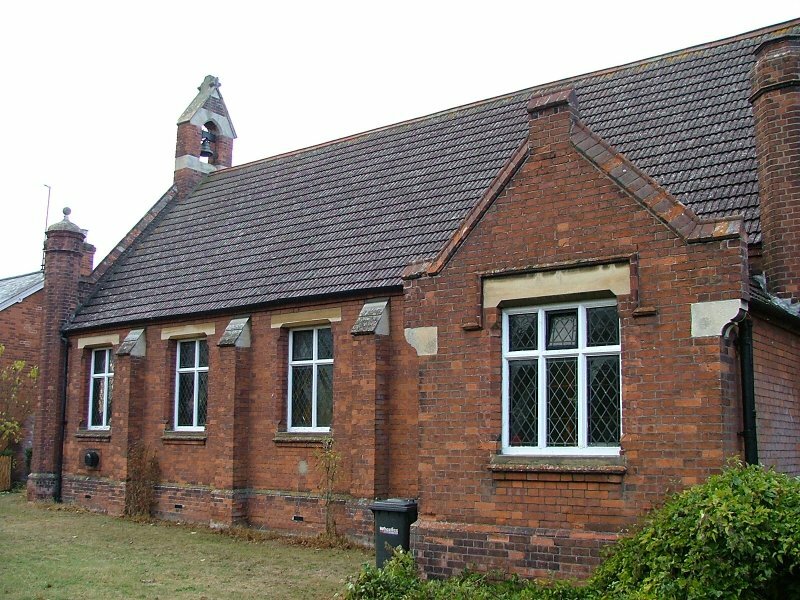 The building does not appear in any reference books about Suffolk's Anglican churches, largely because it was missed out of the rather shoddy 19th century churches supplement to the 1975 edition of Cautley, as was Culford Heath. Subsequent writers, Mortlock included, seem to have used this as the definitive list. However, I was interested to see this church because my wife spent her first years a few doors away, and her mother had attended Sunday School here in the 1940s. 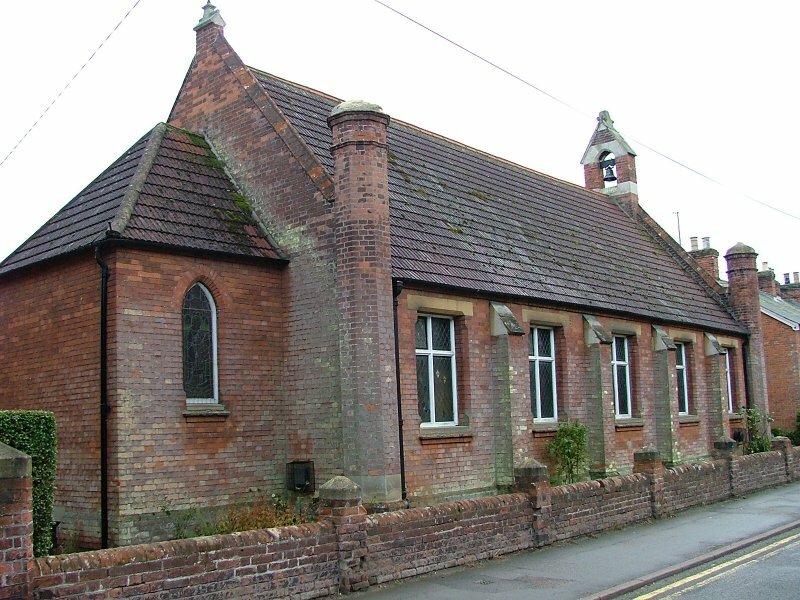 The building still hosts Melford's Sunday School, as well as at least one service each Sunday. This warmed my heart, or at least thawed the chilling of it occasioned by my being denied access to the inside.